eCommerce is one of strongest areas of growth for the Internet over the past few years. 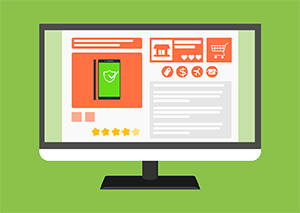 From small or regional eCommerce solutions for merchants serving a relatively small area to world-wide players offering complex online commercial services, the eCommerce segment is maybe the most interesting segment when it comes to web development. Either as a SaaS solution or a standalone bespoke solution for each client, FYB Romania’s approach to eCommerce takes under consideration the client’s needs in terms of number of products to be sold online, the area to be covered by the services, the existing third party providers (and the integration level that each provides) that can help the implementation flow and the operational process following solution deployment. Since 2003, as a strartup FYB Romania has been offering a complete range of services for online sellers. From consultancy services when starting a new eCommerce venture to upgrading existing eCommerce platforms or migrating existing solutions to new web platforms. We’ve been working with many technologies, from older osCommerce or xCart solutions to the new wave of eCommerce platforms like Magento and WooCommerce. Recent years have brought to the market strong SaaS eCommerce as Shopify that have completed the range of choices a new online seller has; at FYB Romania we’ve developed a range of services helping setup the stores in such systems, helping the integration with current order flows or develop new ones. WooCommerce is a good solution for smaller deployments on limited hostings. As our WordPress engineers have experience in providing eCommerce solutions based on WP and wooCommerce, we can provide a suited solution. No matter if staring from scratch or migrating from other plaforms, wooCommerce can be the solution or you, just drop us a line to see how we can make it work for you. Our eCommerce experience at FYB Romania? Go to the FYB portfolio!